Please post and distribute. Nia:wen. MNN. Sep. 25, 2014. The tactics that Doug Ford is using for his election campaign for mayor of Toronto reminds us of Hitler’s famous “beer hall putsch” to totally control a meeting. 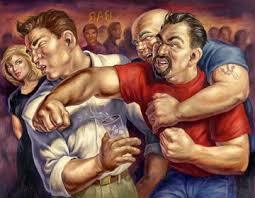 Hitler went into the beer halls with his armed brown shirt goons and provocateurs. They shouted, screamed and threatened anyone who questioned him. He became a national figure. After that success he created the National Socialist Party NAZI. Nobody dared interfere because the Zionists were behind it. To end the chaos, the authorities would come in and convince the cowering people to give in to Hitler. Toronto all candidates meeting for mayor. Ford’s life mission is to become mayor. He goes to the housing projects and hands out $20 to $50 to poor people on the streets. A putsch is organized. They’re bussed in to create a loud circus to drown out his co-candidates. See: Toronto City Hall Election Debate. This putsch formula is being used on those who oppose government policies, in particular the pipeline and theft of our lands. We are made to feel like we have no future unless we accept the bullying and destructive plans of the corporate elite. Our communities and organizations are infiltrated with provocateurs, such as the “pipeline police” mercenaries who are being trained by the RCMP, big oil and Canada. SeeMNN Pipeline Police.The distraction is some contentious issue like racial purity to stop us from raising important matters. Kept off the table is the constant theft of everything we have and being coerced to sign one-sided agreements with big business for our resources. A prime concern is the Canada-RCMP-Big Oil setting up of the “pipeline police”. Public meetings are filled with rowdy gangs who attack those who raise these kinds of questions. Shouters dominate. Marches, threats, violence and fear divert our energies. Factions are deliberately fostered so we will argue. Then their handpicked solution is implemented to stop the dissension. The media does not cover life and death crucial issues. People are scared. We are told that resistance is futile. They want us to believe that the only viable answer is that of the corporate tribal/band council that answers to them. They then come forward with their preplanned scheme to take something from us. We’ll get a little bit or a favor. If we refuse their offer, we’ll be threatened with continued ruinous poverty. Like Hitler, the putsch splits the community, points out the opponents and followers and brings the instigators to national attention. They get into power and take out their enemies and assert their corporate agenda. 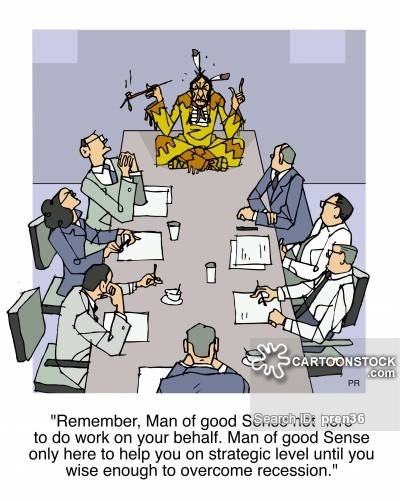 Chief:”Remember, Man of Good Sense not here to do work on your behalf. Man of Good Sense only here to help you on strategy level until you wise enough to overcome recession”. We know who’s doing this. Just follow the money! We fear nothing! The Great Peace and the Council of Women would never allow this farce in our communities. Like Johnny Cash sings: “What have I become? My sweetest friend. Everyone I know goes away in the end. And you could have it all; my empire of dirt. I will let you down, I will make you hurt”. Johnny Cash. “Hurt”. Obama and Clinton studied Saul Alinsky’s “Rules for Radicals” on how to destroy democracy. Saul Alinsky. See short Video: Megalomaniac Obama.